Celebrating St. Patrick’s Day is easy with these St. Patrick’s Day recipe ideas. Whether you’re looking for a full dinner menu or just want some treats to add to your family’s menu, these St. Patrick’s Day recipes are the perfect addition to your day. 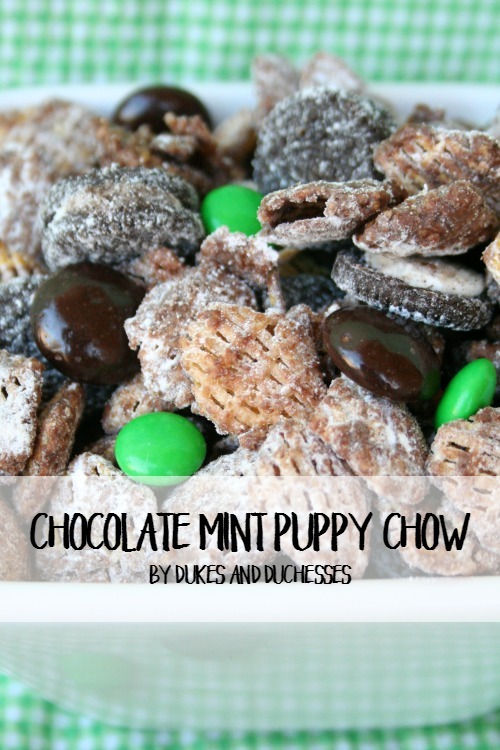 Green and minty treats combine with cereal, chocolate and powdered sugar for this St. Patrick’s Day treat. Use whatever candies you prefer to personalize this for your family. 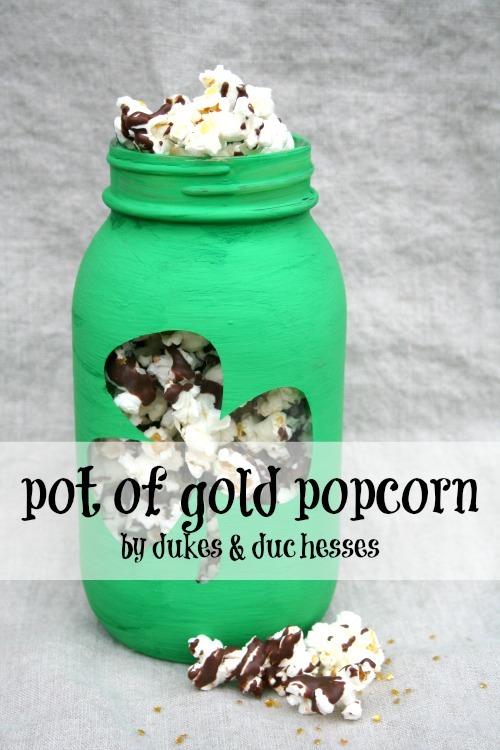 Minty chocolate is drizzled over popcorn and edible gold stars are added for a star-studded treat. Deliver it to family and friends in a green mason jar for a perfectly sweet St. Patrick’s Day gift. If you’re looking for a St. Patrick’s Day side dish, look no further than this breadstick recipe that’s formed into a shamrock. The best thing? 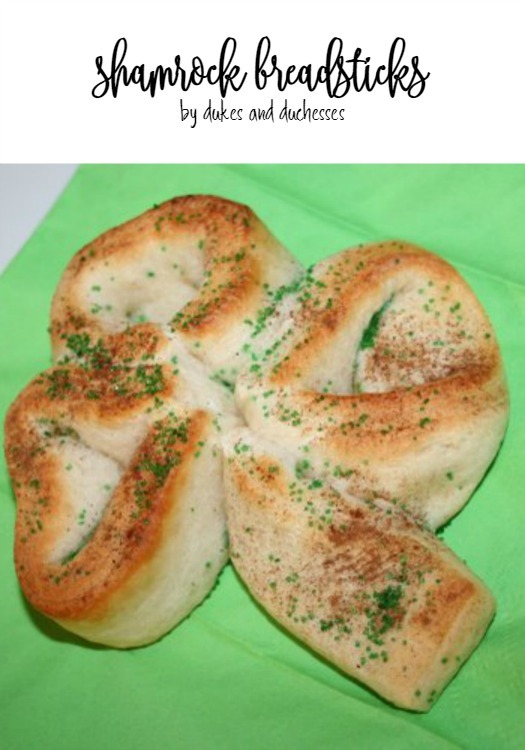 You can choose to create a sweet or savory shamrock depending on what ingredients you have on hand. This magic dust turns your foods green! Just sprinkle some of it into your snack and stir it in. Then, watch your favorite snack turn green! Go over the rainbow with these St. Patrick’s Day rainbow cupcakes. Color your batter and icing in rainbow colors and don’t forget to add a cloud full of gumballs at the end of your rainbow. Top green cupcakes and icing with some green candies and a tiny chocolate sprinkle to make an itty bitty shamrock on the cupcake. It’s a super easy way to celebrate St. Patrick’s Day when you’re short on time. Start your day off with these shamrock shaped cinnamon rolls! If you use canned cinnamon rolls, you can pull these together in just 10 minutes. Don’t throw out those heart shaped marshmallows left over from Valentine’s Day! Put four of them together on a stick to make a cute shamrock! Everybody loves chocolate chip cookies and these minty chocolate chip cookies are perfect for St. Patrick’s Day. Best of all, they couldn’t be easier and have just four ingredients! Transform plain donuts into rainbows with rock candy! These are the perfect after school treat for St. Patrick’s Day. What’s the best part of Lucky Charms? The marshmallows of course! Add these marshmallows to popcorn and you’ve got a delightful treat that everyone will love for St. Patrick’s Day. If you’re looking for something that’s a little healthier for your kids this St. Patrick’s Day, you can’t go wrong with these fruit cookie pizzas. A sugar cookie base, a tiny bit of white frosting and a rainbow of fruits make this a healthier treat. These St. Patrick’s Day recipes are the perfect way to celebrate the holiday at home. What will you make this year? For more inspiration, check out Tauni Everett’s Pinterest board for delicious dessert and party food recipes to try out St. Patrick’s Day 2019.